2. 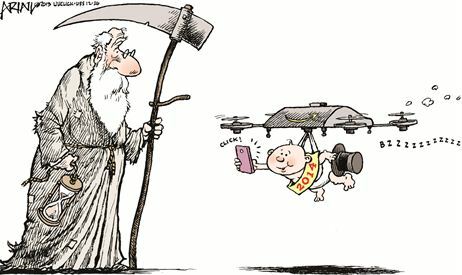 Editorial cartoonists often use symbols to represent an idea. What do the old man and the baby symbolize? 2. The old man represents Father Time (the old year) – the symbol of the end of the year; the baby represents Baby New Year (the new year) – the symbol of the new year.